Summer is just around the corner. 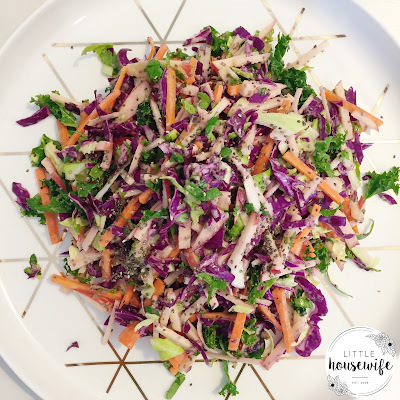 It's time to get inspired by some crisp, raw salads for your upcoming alfresco dining. 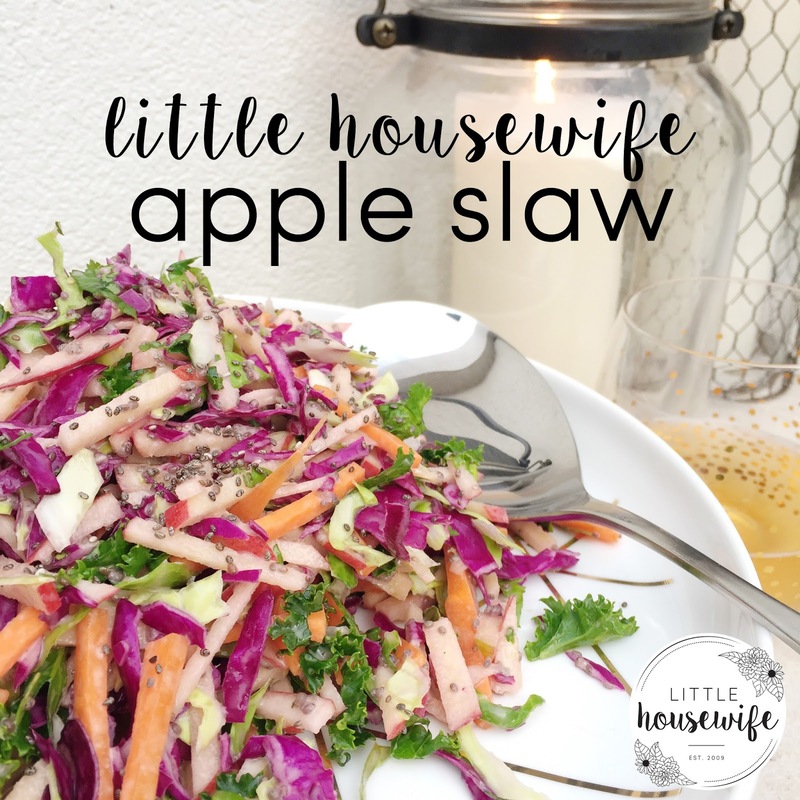 Here's a fresh twist I created on your old fashioned coleslaw, made by adding a sliced apple and a zesty chia seed dressing. It's totally delish and a perfect accompaniment to your summer dining. Combine in all the ingredients bowl. Set to one side and make the dressing below. Whizz first 6 ingredients together until well combined. Stir in chia seeds and set aside to thicken. 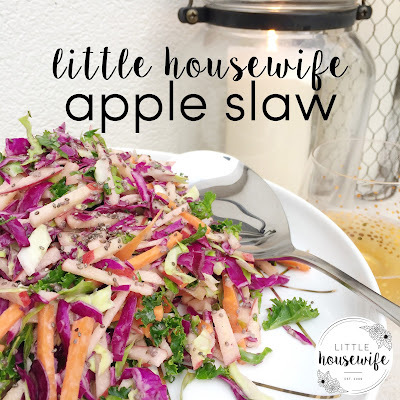 Lightly coat the apple slaw with the dressing*. Sprinkle the top with a few extra chia seeds and serve. *There will plenty of Zesty Chia Seed Dressing left over. Store in the fridge to enjoy later in the week.